Winner of the Brightest and Best Business Award from the Waverley Council. We love everything to do with real estate. A home should be a dream, a refuge and provide security as an investment until you start dreaming of the next adventure - recognising this is why we can be trusted to manage or sell your property with the utmost care and flair. Call Charlotte now on (02) 8313 9578 to find out more. Scroll down to see our services. Sydney is a city of stunning contrasts, both geographically and culturally. Whatever your tastes there is an area just for you. Click here to see our current properties for sale. It's hard to find a reliable Property Management service in Sydney, but rest assured that our competitive fee's and extensive services will give you piece of mind. If need be, we can also get your property on the market in less than 24 hours! Click to find out more. Real estate sales requires marketing with flair to create unique campaigns for each property using our in-house graphic designer, backed up with skilled negotiating and a very personalised service to achieve the best result selling your property for you in Sydney. Click here to find out more. Book your free market appraisal and find out how we can nurture you and your property. Click to book today. Uplifting, inspiring and connected. What do we love or what made us think and how can we translate that into renovating for profit or improving the quality of our daily lives. 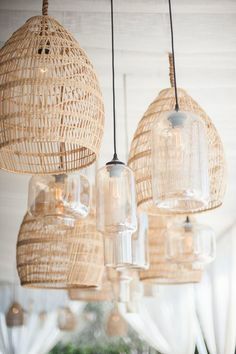 Pinterest for the coolest, most inspired and most daring ideas that will make your brain ping with creative ideas and help you create a home not just a house. We have picked a few of our favourites - it doesn’t hurt to dream. Real estate profits are often maximised by the expression of quality ideas. Spotlight - Where to live in Sydney? Featuring a round up of some of the areas in the Eastern suburbs and whats on offer, from live bands to coastal walks - great schools to mouth watering bakeries. Choose the best area, you can afford that suits your lifestyle and personality. Our instagram page, with carefully chosen images to highlight the importance of good design, positive thoughts and whats happening in our real estate company.